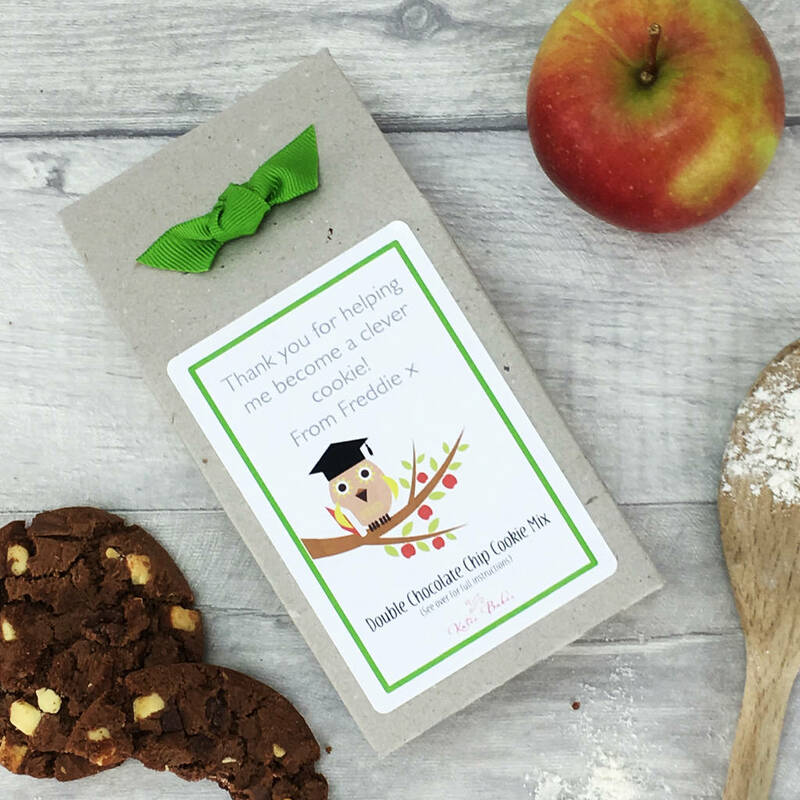 A unique, personalised Teacher cookie mix gift containing a delicious cookie mix to thank your teacher for helping your child become a "clever cookie". 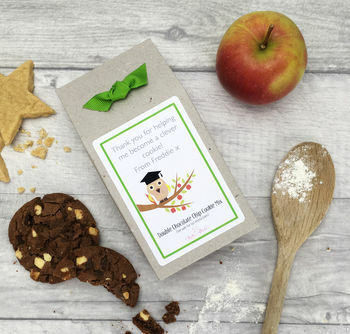 Perfect for your Child's Teacher or Teaching Assistant, these cookie mix teacher gift boxes are a fun and unusual thank you gift and can be personalised with your message. Our artisan cookie mixes are made with only the highest quality ingredients, including British flour, Belgian Chocolate and no artificial colours or flavourings. Each mix just requires the addition of melted butter to make delicious cookies. Full baking instructions are included. Choose between two flavours of cookie mix, Belgian Double Chocolate Chip or Rich Shortbread. The box label can be personalised to say whatever you would like. Eg. "Dear Mrs Jones, Thank you for being such a great Teacher. 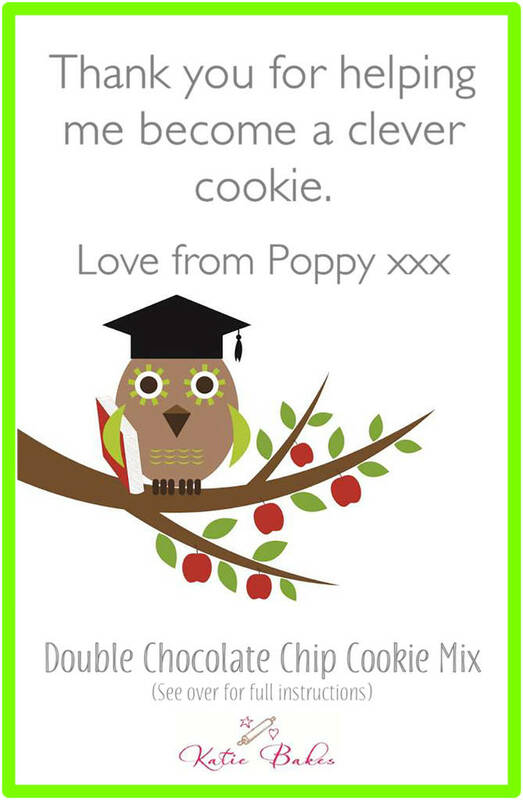 Love from Sophie x" or "Thank you for helping me become a clever cookie. Love from Toby x" Just enter your message in the box provided. 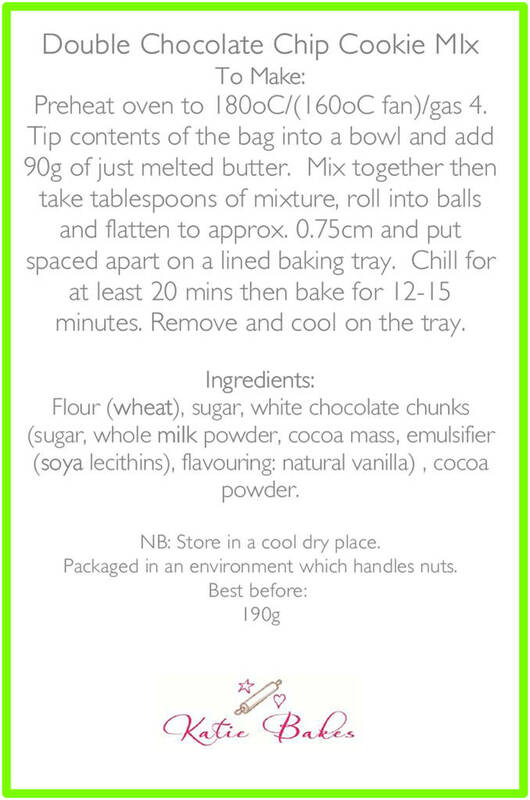 If you want a different design why not take a look at our cookie mix party bag label options for some alternatives. We can can change the wording to whatever you like to say. 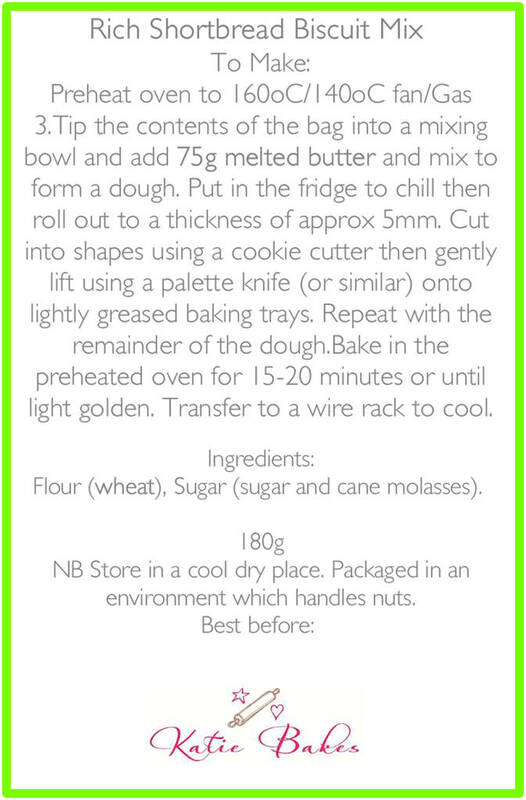 If you are ordering more than one box and require different personalisation on each box please send us a message with your order or add as separate items to you basket, you will only be charged once for delivery of Katie Bakes products. The gift boxes are made from recycled cardboard with a hand tied ribbon decoration. The mixes in the boxes are packaged in polypropylene bags for freshness.